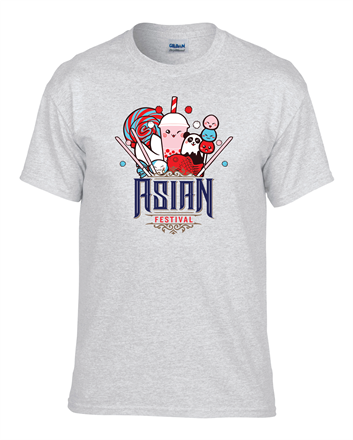 Order the Official Asian Festival Day Limited Edition Shirt today! Shirts are $18 dollars online plus $4 shipping unless you buy them at the event – then no shipping charges! Official Asian Festival Day Shirt - Please ship to me! Official Asian Festival Day Shirt - please ship to me. There will be a $4.00 shipping charge and shirts will be shipped next business day. The cart link will appear on this page after you make your selection and the link will direct you to the Silk Road Productions Paypal page, where you can sign into your account and pay – or pay with a credit or debit card without signing in.